Have you ever been browsing the internet and felt a pang of envy when you see how some websites have been designed. Let’s face it; there are some truly remarkable websites out there. They load at the speed of light; they look amazing; they are a breeze to navigate, and etc. In short, they are everything a good website should be. There is no denying the fact that appearance and functionality have a tremendous influence on sales. People are far more willing to purchase goods or services from a highly polished website. Fortunately for those of us who know nothing about code and website development, technology has stepped in to help. These days you can find a number of applications which allow even beginners to design their very own high caliber sites in almost no time at all. The Dynamik Theme from CobaltApps is marketed as being one such solution. CobaltApps Dynamik Premium Child Theme – What Is It? CobaltApps Website Builder was created by Eric Ham, who first started work on this tool during 2009. It has been built on top of the industry standard Genesis Framework, with the powerful WordPress platform serving as its foundation. The Dynamic Child Theme essentially allows anyone to create a professional WordPress site even if they don’t know a single line of code. I like to call it a “Point and Click” website builder, but I am sure others will have much more professional sounding descriptions. Eric Ham realized that even though Dynamik is so incredibly user friendly, there will still be many people who don’t want to start building their sites from scratch. In order to accommodate their needs, he went ahead and also developed the Dynamic Theme Skins. Designed specifically for use with WordPress sites, the Dynamic Child Theme allows you to control virtually every aspect of your website’s design without having to know anything about coding. You can quite literally have a premium quality website in a matter of minutes and designed from the ground up. Dynamik theme has essentially been designed with two groups of people in mind: Those who don’t posses any coding skills, and those who do have the necessary coding skills, but want an easier and more time efficient means of creating highly refined websites. Absolutely no coding knowledge required – The people at CobaltApps have quite literally put professional web design within reach of anyone who wants a professional looking website. Users can customize virtually any aspect of their WordPress sites; tweaking the feel and appearance of their sites to meet their own exact needs and/or requirements. Ability to create customized themes for other WordPress sites – Dynamik makes it easy for you to create and export customized Genesis themes for use on your other WordPress sites. Time efficient – Once you get the hang of it, you can have an amazing website within minutes. For this reason, the Dynamik Child Theme has become exceptionally popular even among developers who have been writing code for years already. No matter how fast you can write code, you cannot compete with Dynamik’s “point and click” technology. No prior experience required – Even if you are a complete novice, the Dynamik Child Theme allows you to create a great looking website, and one which functions perfectly. Obviously if you have never created a website before, you’re not likely to have your site designed and set up within a matter of minutes, but it still shouldn’t take you very long at all. No coding skills needed – Coding takes ages to learn, and writing code is also extremely time intensive. With the Dynamik Child Theme, you don’t need to know a single line of code in order to have a great looking site which is customized to suit your own individual needs. Ability to export designs – It is almost inevitable that there will be times when you are well and truly impressed with your newfound design skills. Dynamik makes it possible for you to effortlessly export your designs as standalone child themes that can then be used for your other WordPress sites. Theme skins for even greater convenience – Dynamik Premium Child Theme comes with theme skins which you can download from the CobaltApps website, from inside your account. Typically speaking, when you start designing a website, you start with a blank canvas. By using a theme skin, you can bypass that stage altogether, and have a wonderful looking site instantly. Not only is it very convenient, but it also frees up more time for you to focus on all the other aspects of your site. Easy placement of footers; sidebars; menus and etc. – Dynamic Child Theme is all about making things easy, and this becomes glaringly obvious when it comes to positioning footers; sidebars and so on. A few mouse clicks, and everything is exactly where you want it to be. Front end CSS editor – Unlike some competing software where CSS editing has to be done from the back end of your site, Dynamik allows you to do CSS editing from the front end of your site. This means you don’t need to keep switching from one end to the other in order to inspect the changes you make. Instead, when you edit from the front end of your site, the changes can be seen in real time; a really helpful feature indeed. Reasonably priced and ongoing renewals not mandatory – Your initial license is valid for one year and this of course also includes customer support. At the end of the year, your license can be renewed for 50% of the original cost, but renewal is not mandatory. If you decide not to renew your license, you can continue using the Dynamik Child Theme along with all its features, but you won’t be entitled to customer support, and you won’t have access to the “members only” areas on the CobaltApps website. Price – I personally think Dynamik Premium Child Theme is very reasonably priced, but I think the price will put a lot of people off if they only want a website to serve as a bit of a hobby. I also think the price might put some affiliate marketers off if they are only just starting out, and not yet seeing any dependable income coming from their new online ventures. Page Builder – Only thing that is lacking in this theme is a page builder. Unlike a few other premium themes that I have used, you cannot design a page the way you want without coding. There are several design templates available but if you need a layout that is not part of these templates, then it is not possible to create it without lot of coding. 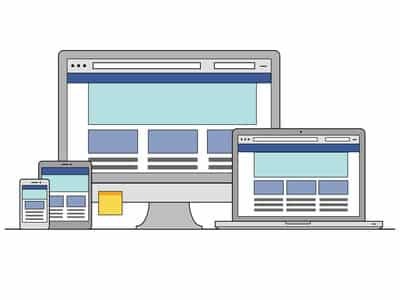 Takes a while to get used to – Regardless of what the people at CobaltApps say, Dynamic Child Theme DOES take some getting used to, even if you already have some relevant experience with web design. New users should definitely expect to encounter a learning curve, and the less experience you have, the longer that learning curve is going to be. With that having been said, it is very easy to master, and reaching that point shouldn’t take you more than a few days. Cannot be used with other Genesis child themes – I have read this comment in a number of reviews and yes, it is true. However, this has nothing to do with the Dynamik Child Theme. Instead, it is because the Genesis Framework does not allow more than one child theme to be active at the same time. Only email customer support – There is no “Live Chat” feature and no telephone support offered. All customer support is handled via email only. This has never been a problem for me, but I’m sure many users would like to see a Live Chat feature added. There are three different packages available. The first and cheapest package allows you to install the Dynamik Premium Child Theme on a single website only. The second package makes provision for up to three websites, while third package is for an unlimited number of sites. Dynamik Theme is available globally, but it should be noted that everything is in English only. Additionally, customer support is also only provided in English. I have tried and used a number of premium paid themes during the last nine years, including Dynamic Premium Child Theme which I have been using for a number of years now. No doubt there will be some people who disagree with me, but I honestly think that this is one of the best premium themes I have ever used. Do I recommend using the Dynamik Premium Child Theme? Definitely! If you purchase one of the available license packages, spend a day or two familiarizing yourself with the product by visiting the site’s “Forum” area and also the “Blog” area. There is a wealth of knowledge available there, and it will make things so much easier once you start using the theme on your site. If you have several sites but you want to test the water first before paying for the “Unlimited” package, simply buy the cheapest “Single Site” package first. If you like what you see, you can contact admin and request an upgrade, in which case you will only be expected to pay the difference between the two packages. You can expect excellent support from CobaltApps in case you get into any issues with the theme. Since I have used this theme extensively on various types of sites, you could also contact me for help with the theme design or for other related help.